A sheet of water cuts through the rock and passes through a lush, scented forest. 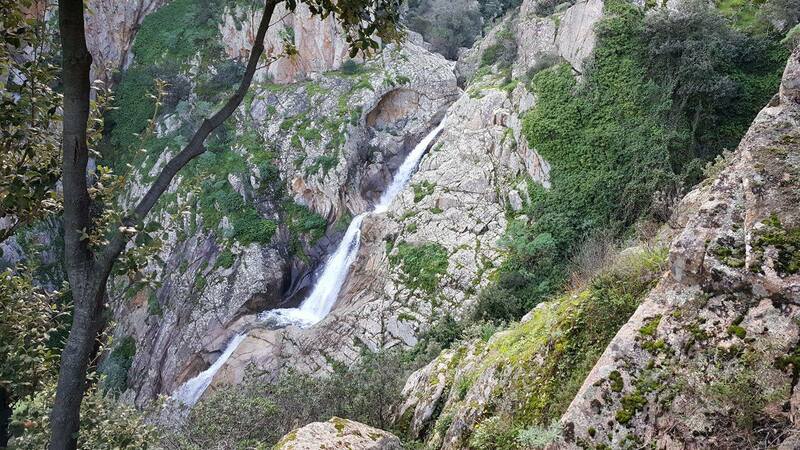 It is the image that nature has painted around Villacidro, in the Medio Campidano area, embedding it in one of the most spectacular waterfalls in Sardinia, to the point that Gabriele D'Annunzio sang its praises in a sonnet composed during one of his visits to the Island in 1882. 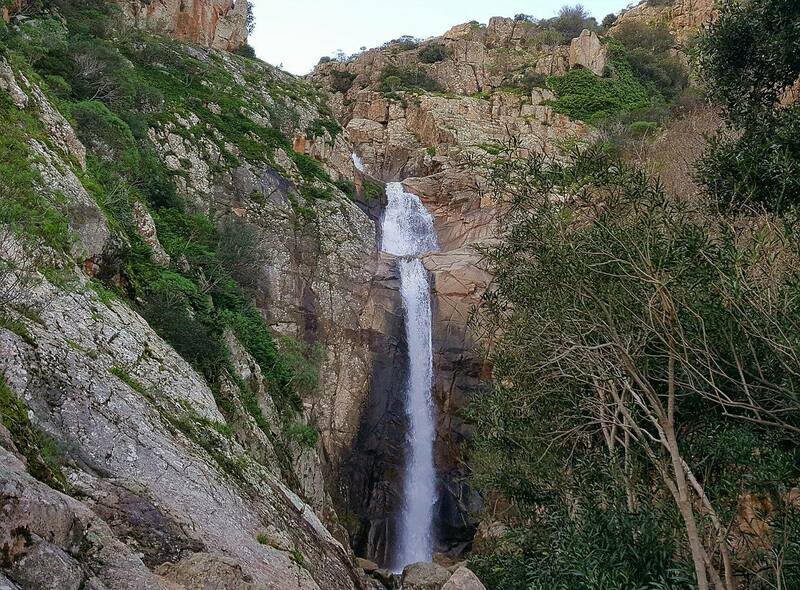 Sa Spendula, name of the locality in which it is situated, means 'the cascade': it is the sudden fall of Rio Coxinas, which originates atSantu Miali (in the picturesque park of Monte Linas), in three consecutive water drops with a maximum 60-metre high altitude gap. 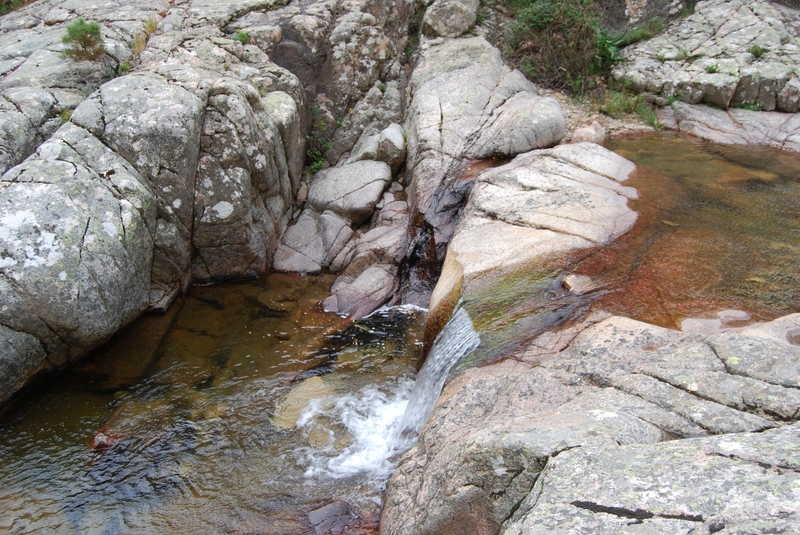 The waters form three natural pools in the same number of fall areas and flow into a gorge of special natural value, dominated by a granitic aiguille, known as Campanas de Sisinni Conti. In autumn and winter you will be enchanted by its vigour, while during the summer you will be impressed by the evocative light in the evening and the inebriating cool that you will experience amidst the oleanders and holm oak woods. 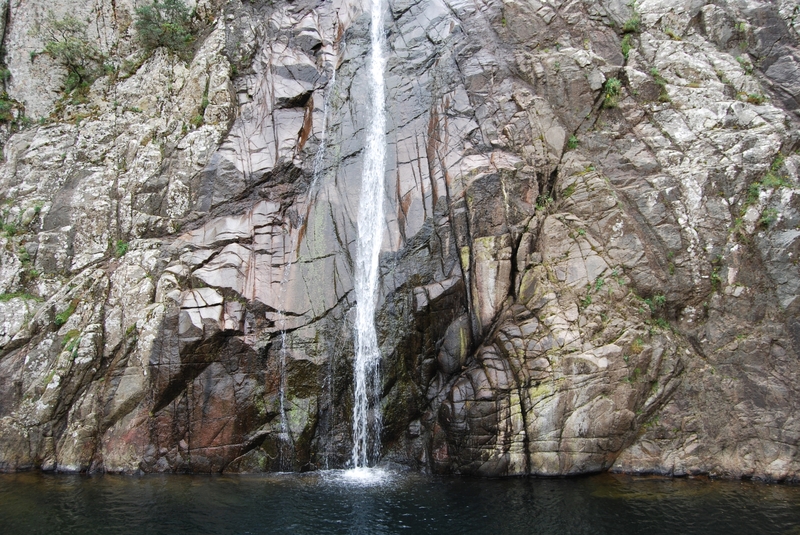 Along the nearby trails, there are another two waterfalls: Piscina Irgas and Muru Mannu. 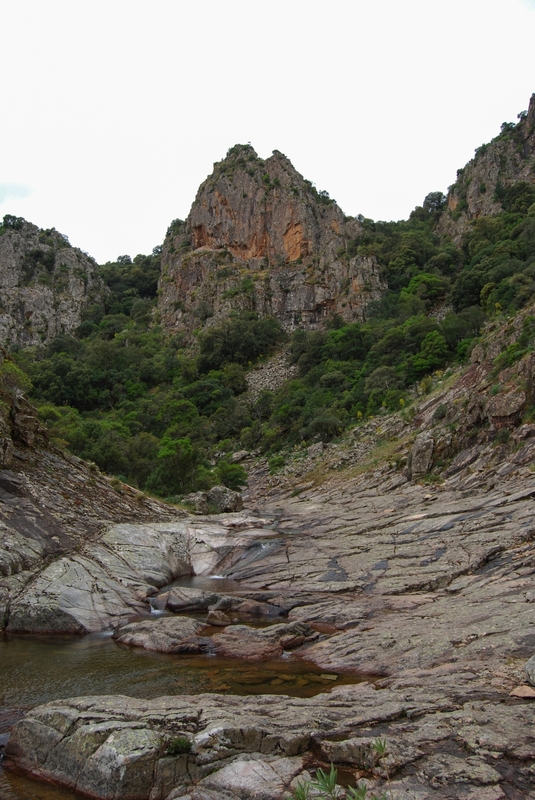 The first plunges into a deep pool with a water drop of approximately 45 metres and then begins to wind into the Mediterranean scrub as far as the Leni torrent; the second is the most awe-inspiring in Sardinia, with its major water drop approximately 70 metres high, and squeezed in between two sheer rock faces. It leads to a little lake surrounded by holm oaks and holly trees. Whatever your passion, you can explore the entire surrounding territory by taking pleasant trekking trips: its geological, wildlife, archaeological and historical-mining aspects are all very interesting. In spring and autumn, you can enjoy pleasant excursions, with intervals for relaxing in the picnic areas, while enjoying the gentle sound of the waterfall and the view of the splendid nature all around. From Cagliari, take SS 130 as far as the turn off for San Sperate, then follow the signs for Villasor and then for Villacidro. To reach Sa Spendula follow the signs in the town, the waterfall is about 1 km away. To get to the other two waterfalls, from Villacidro follow the signs for the forest of Monti Mannu. After a few kilometres you will reach the artificial lake of Rio Leni, from there take the turn off for Monti Mannu. Follow the road until the entrance to the protected area and park near the start of the footpaths. Path 109 takes you to a crossroads: to the left starts path 113 leading in about one hour to the Piscina Irgas waterfall, to the right, path 109 leads after about two hours to the Muru Mannu falls. Do you like this place? Cagliari and Costa Verde could be your ideal destinations.